I was so thrilled to finally be able to meet Samantha and Andrew. Samantha and I had several wonderful conversations on the phone together, but I had unfortunately come down with a really bad cold a couple of days prior to our initial meeting. 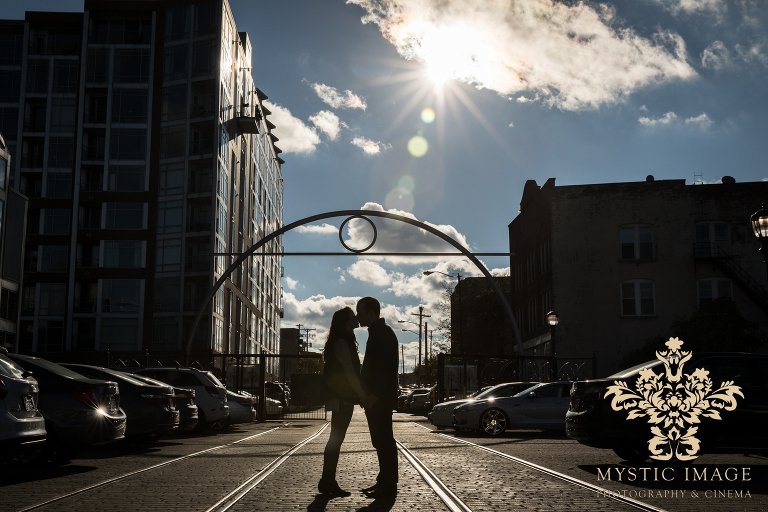 So, when the day of their engagement session finally arrived I have to admit that I was giddy with excitement. 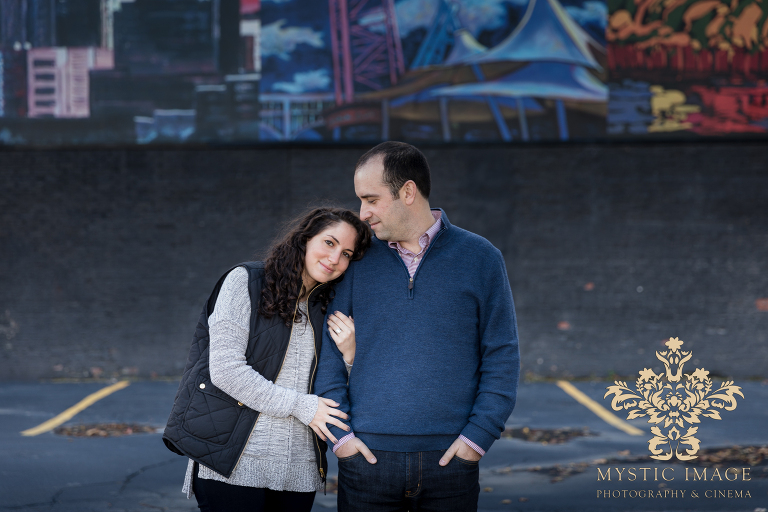 I love meeting people face-to-face and I could just tell that this couple was going to be great to work with… and I was so right! One of my most favorite things about these two is that they are true Clevelanders! 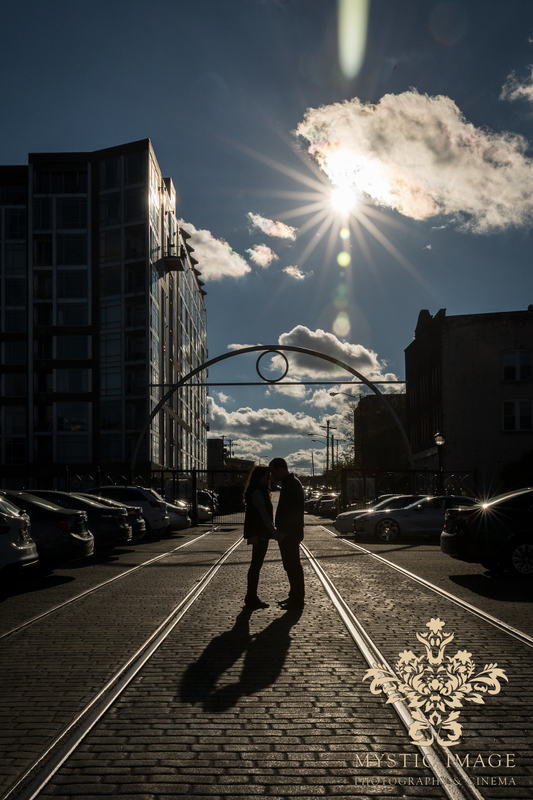 Not only do they live downtown but they’ve planned to hold their beautiful wedding in the heart of the city as well. 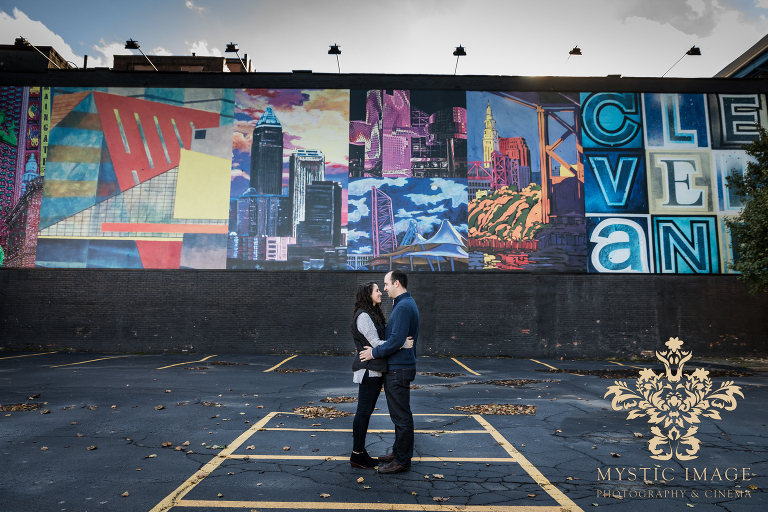 It only made sense that incorporating the Cleveland skyline into their photos was a must for their shoot. Although it was quite chilly that afternoon, these two were real troopers; always giving me their best smiles and expressions with every shot (even when I accidentally made them drive through “not the best neighborhood” – sorry again about that). Their connection with one another is simply adorable and I couldn’t have asked for an easier couple to work with. Samantha and Andrew, you mirror one another in both personality and style so perfectly, it’s no wonder you two are such a great match. The chemistry that the two of you have together is unmistakable and absolutely electric on camera. 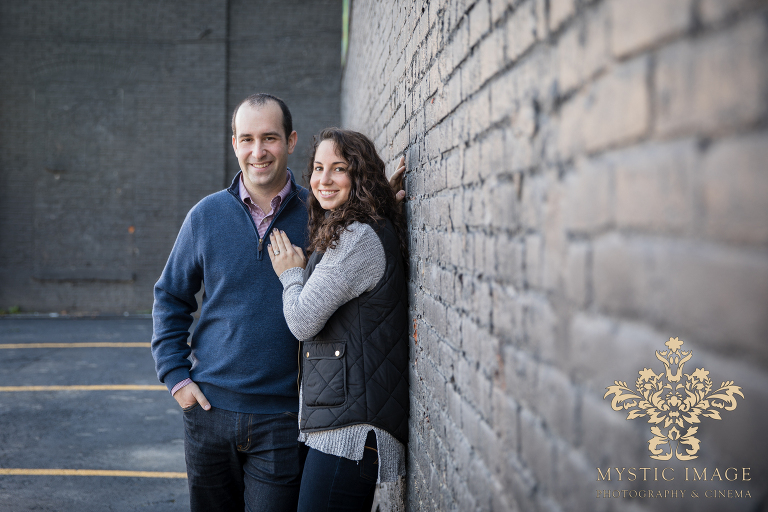 Congratulations again on your engagement and we are so excited to be working with the two of you on your big day next September! !